Seems very low res for that size screen. Essentially 1080p but wider. My son has a 29” ultra wide with the same resolution and I wouldn’t suggest going bigger at that resolution. Maybe upto 32” ultra wide max but 49” ?? Seems odd to me for that price. nice replica of the wrestlemania 35 stage. Not at all. Even handles 3ds max and the unreal engine perfectly. I'm just looking for RAM if I come across a decent priced stick but right now found no bottlenecks. As someone else stated the fans make a bit of a noise but that's a minor. Would you need the extra 8gb if you only plan on using the machine for gaming and not much else? I have this. Haven't felt it's overheating but the battery life is a tad disappointing. Max 2 hours however as a gaming machine i really really enjoy it. Only thing is it seems there's both a 2017 and 2018 version...so it may be this is an older one? No idea lol. Is that ram 2x8gb for dual channel? Ohhh is there any way of Me buying it from you? 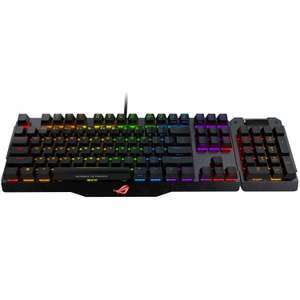 Had mine deliveryed but sadly the keyboard is not level and one of the keycaps has a hole reflecting light. I doubt they will be stocking this so my only option is refunding it seems. Can someone be kind enough to "quote" me if its available again please? Exactly. Very good find op. If its tested and working fine then it's a great bargain esp for peeps wanting to get into entry level gaming. You could even be super lucky and get one unused, rather than refurbished. Have heat op. I have the same touchpad driver installed, I have not noticed any real issues but I do use a mouse generally. lol, I didnt notice that, I dont recommend buying it, I noticed 3 issues 1 - touch pad was stuck up 2 - touch pad stopped working for a few seconds(I thought this might be because the touchpad might be faulty/loose but now that's it's on 2 machines I'm not sure 3- wifi cut out a few times while trying to update windows, didnt work till after restart I mentioned these on the rma of course so it might be fixed.. I ordered one too, very happy for the price. I currently have a vega 64 so not a clue what i'm doing but couldn't resist. Well, It wasn't posted from outside UK, And most stuff on this site is dispatched from outside the UK, Not too sure were your going with that one, And if you have no interested in the games, Which I don't, Then the 26 quid saving over the next cheapest which is the ASRock from CCL makes it a good deal, To me anyway. But my comment wasn't about the product, Just that the first five replies were all negative towards the site from people that appear to have had no dealing with the company at any point on the bases of how the site looked, Witch I also didn't get as the site looked pretty professional and legit to me,Anyway, There site is in my Bookmarks, 3 day delivery is good enough for me. For me it's a great deal, I'm still running an overclocked Intel 2500k with an R9 280x, I didn't want to throw silly money at an inherently out of date system that I put together some 7 odd years ago, Was looking at the RX580 as I wanted to stay with AMD, But I think it's still overpriced, This for 98 quid is perfect, A good boost over the R9, And could probably knock it out for 50 quid in a years time. Looks like you got a great deal! No. It only supports 6th and 7th gen. This would work with a i5 8400 right? I've changed my cpu and motherboard an win10 is still activated so I don't think it's a big problem like pervious versions of Windows. Night go for this. I've got a boomer style with gaming too...use the cursors and keys next to them so this is one of the few keyboards I can live with. IPS, If it's anything like the GL702VM then it's a very nice panel. Anyone know what the screen is? TN/IPS? m/s? Nits? Mining is hardly profitable after electric costs etc are factored in. Only mega farms generate enough. Probably more a case of manufacturers now being able to cope with demand which they couldn't when the mining trend exploded. Also I think the mining trend has taken a dip due to fact that buddy entrepreneurs are not earning the big bucks they thought they could. graphics cards not powerfull enough for mining anymore ? With lots of graphic card (sort of) deals starting to appear hopefully the worm has finally turned and prices will start becoming more realistic as there were before the mining craze took off. i think retailers are selling off because next gen is here, but thanks. Started with constant static noise issues when using earphones. Then developed a crackling from the speakers and sometimes the sound would not work at all - required a restart to get it working. Followed by battery issues (stopped charging to 100%; got stuck on 80-90% a lot), and finally started freezing nearly every time I used it. Also when the screen entered sleep mode, the sound would cut out for 3-4 seconds. The faults developed gradually within the space of 2 months. Asus customer service was beyond despicable. Managed to push the retailer for a refund. On paper its a fantastic laptop; maybe I just got very unlucky. I was told other customers also had a lot of complaints about the laptop. No wonder retailers are reducing the price left, right and centre until OOS. What faults out of curiosity? This thing is £900 in China, why you are so happy about this unreasonable price. I bought this laptop last year for £1,350. Within 2 months it developed a host of serious faults - returned it for a refund. I was informed by the retailer that a lot of these had been sent back by customers. You may have noticed that several retailers have reduced the price on this in the last few months. If you desperately want it, I recommend buying it with a long warranty or finding a cheap refurb. Amazing laptop on paper; a car crash waiting to happen in reality. To be fair with the £100 you save you can make it 16GB and then overall have a better laptop. Confused? I'm a troll because I think 8GB of RAM is bad for ultra gaming nowadays but feel 24GB is overkill for current gaming (but said it was nice to futureproof)? 16GB is the sweetspot right now. Some 'expert'. I will be picking up this laptop today! Can add check some benchmarks and see if its not power throttling like the i7 version if anyone wants. Okay, I didnt notice that, but it still doesn't, for the matter of fact mean that Amazon are in the wrong. The Contract was void. whats binding? ffs, a representative of a company confirmed that an order made was correct and that the customer would receive the item at that price, it doesn't matter what little info that rep had as if that were the case, all companies would give their sales reps little info and we would have all kinds of miss information going around... I'm done with speaking to morons like you. What exactly is binding? It broke their T&amp;Cs in their contract end of, wether Leon said this or said that it broke their contract terms, making the 'deal' void. Customer service agents have little information and just want to please the customer, doesnt make anything binding. I would agree with Ritchiedrama here, for gaming a 7300HQ with a 1060 ( call this laptop number 1) would perform better than a laptop with a 8300cpu and a 1050ti (call this laptop number 2). Laptop number 2 would be bottlenecked by the 1050ti gpu before the 7300HQ bottlenecked laptop number 1. You want to aim for similar spec parts on a laptop so all parts bottleneck around the same time. 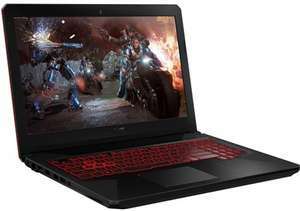 Laptop 1= CPU say 75/100, GPU 75/100 Laptop 2= CPU 85/100, GPU 60/100 Therefore you get 60% performance for laptop 2, whereas you get 75% performance for laptop 1. The above is of course for illustrative purposes only. As @pcdealhunter stated. You can sell that cooler for £50 on ebay. You get 2 free games, If you've decided to get Division 2 (£35 on cd keys) and just say Devil may cry 5 (£25 on cd keys) then that's a total of £110 you can make. £144.99-£110 = £34.99 for this card... I'm tempted to do this as I want Division 2 anyway. £60 cpu cooler included though, you could sell that for £50ish then you have a £100 strix 570. Extra fiver for a RX 580 - https://www.ebuyer.com/791541-asus-amd-radeon-rx-580-dual-4gb-graphics-card-dual-rx580-o4g. Great deal, But you really need to want the cooler, As you can get a 4gig 580 for extra fiver, But you could sell you cooler giving you a very cheap 570. Looks like a proper nut roaster. its not the only issue. thermal problems all over these models. Fx models and hero models. blame the 12v fans that make it LOUD. poor thermal design and high temp 8th gen cpu's. I already have a MAXIMUS VIII HERO but havent built the system for it yet, is it worth picking this up over the Maximus VIII Hero? Assuming I could sell the Maximus for something on ebay. I'm not really sure what the big difference between the two would be beside z170 vs z270? Also weird the Strix doesnt have USB C, but the older Maximus does. https://uk.pcpartpicker.com/list/fywjMZ I put this together very quickly, so probably there's space for improving it here and there. Also i haven't picked a case, as that depends on aesthetics too! This would make a good office/general purpose pc that can do some gaming, particularly esports and even bigger title that are few years old. indeed, its a cheap mobo - but it is an old one that only accepts obsolete (and still hugely overpriced) cpu's. So its really only of use if you already have a 7700k and the mobo dies. the price is good for gtx 1060(maybe the best) but, 8th gen i5 is a lot faster than 7th and even faster than i7 7700hq the gpu is only 3GB which will be enough only for some games medium/high full hd even though it has enough horsepower for more, not sure if this version is with 120hz screen but would a huge bonus at least for e-sport titles. 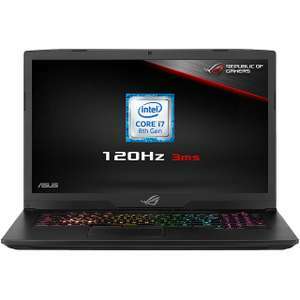 This is the cheapest gaming asus laptop, all parts are cheap so expect thermal throttle. No SSD and 8GB RAM does not help a lot, which mean you will mostly spend around 100 for an upgrade. core for core, not much in it, but if it is a 6 core 8th gen vs 4 core 7th, then yes a big difference, would have to check which 8th gen i5 is used. I would pay the postage, easier to return if any issues.